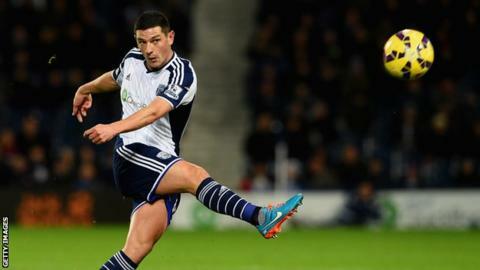 Norwich City will look at signing West Brom's Graham Dorrans on loan after failing to secure a permanent deal. A deadline-day move for the 27-year-old Scotland midfielder that involved Canaries defender Martin Olsson heading to the Hawthorns fell through. The loan window opens on Monday. "He's not lined up at the moment but it's a potential thing we could look at when the window opens. It's something we will revisit," Norwich boss Alex Neil told BBC Radio Norfolk. Dorrans was at Norwich's training ground on Monday to finalise his move to the Championship club, but Albion were unable to arrange a deal with Olsson. "We had an agreement in place. But it didn't go through, which is frustrating for both parties, but we need to move on," said Neil. Meanwhile, Norwich's deadline day signing from Hamilton, Tony Andreu, has been given clearance to make his debut against Blackpool on Saturday.